I am selling my time capsule. This was recently found locally from its original owner and was in his garage for 41 years. It has original window sticker, paperwork, and is in amazing rust free condition under original paint! I clicked the links and it just re-opened the thread. Not sure why. Here's an attempt at a fix. Edit - took out my links to shrink the page since cygnus fixed his. Thanks for pointing it out. It should be fixed now. Price? What city in New York? That's a remarkably clean car. It looks new! I will be very interested to see what it goes for, given that it is the less collectible 280Z. Beautiful! A real time capsule. Price is up for auction. The car is in Putnam County, NY about 50 miles North of Manhattan. 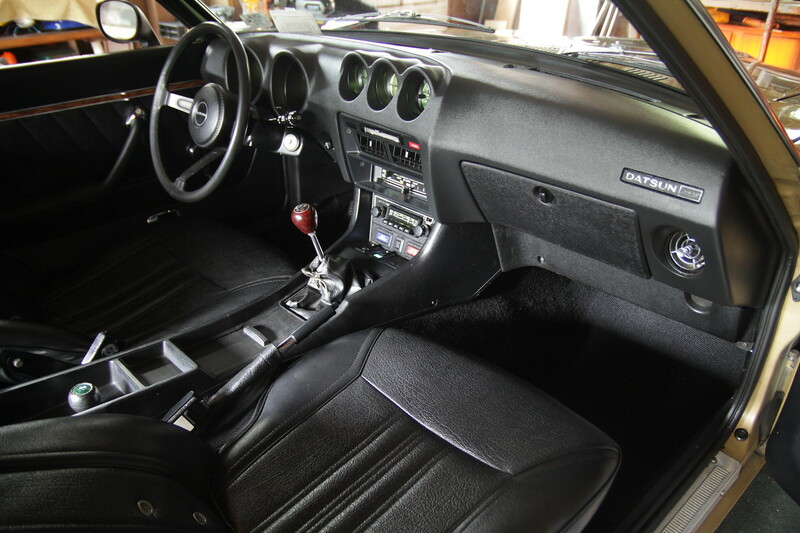 Bumping, just because $12,280 is pretty good for a 76 280Z. Hagerty numbers make somewhere in the 20's seem reachable. Polish those treads... Six days. Thanks, Z brother. I suspect it will exceed 17k-18k easily. If it hits 20-23K that right about on target, anymore than that and it will be a long term investor that loves Z cars, and knows it's going to be 35k-45k in 5 more years. I just want it to have a nicer climate or a climate controlled home. I can't provide that for long term. I think it’s a $30k+ car today. Good luck with the sale. The 280Z is the underdog to the 240Z in the collector world, but supply of low mile, true survivors, is dwindling fast. Is it the "Dino" of the Ferrari world? I love it! Hope it brings a good dollar. It looks immaculate. I expect a price over $25,000 for this one if the right people are there. Wow, that is a sweet looking original Z. You can even see the dash lights clearly! I like! I noticed some people on BAT commenting about the sill plates not having "Datsun" in the middle. My 1/76 build car does not have Datsun on the sill plates. It's been painted once, poorly, but everything else about the car says it's original. Maybe they don't know what they're talking about. The answer is as follows: Nissan stopped using the "DATSUN" sill plate or scuff plates somewhere between 1/76 - 2/76. Nissan parts microfiche confirms this with part numbers and notes. As with most line production changes, they probably don't have a clear cut exact date, so there were probably a handful of cars that crossed the line by a few days during the change over. I bet your car was a late 1/76 car. The newer plates required two additional holes in the sill. If you take them off, you may be able to tell if two of the holes were drilled differently during the installation. If they were upgraded at a later date, you may see a different drilling. I was going to refer to this thread to give the "what's it worth" thread some real and recent numbers. It's "gone" but did it sell or was there a reserve? BAT doesn't show sale prices apparently. Couldn't find one. High Bid USD $15,500 (Reserve Not Met) I just clicked on the see results. It didn't meet my reserve on BAT. Lazy Tuesday afternoon bidders only reached $15.5K, but I got off-line offers of significantly more than that. I almost let it go for less than I want, but I decided to aim and shoot again. What's it worth? I don't know yet. How is this 76 worth $20,500 more? Color? The color would not demand that much of a difference although it can impact price but not that much of a gap unless it was a extremely rare color which doesn’t apply to the Z market. I'd buy that in a second if I could come up with an excuse. Good luck!!! 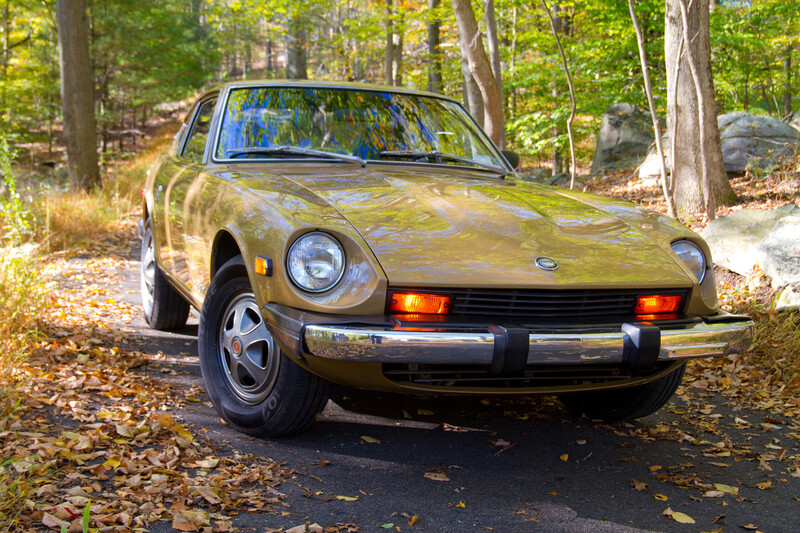 The high bidder on my Auction bid an equivalent condition and mileage late 74 260Z up to $45.5K, but only $15.5K on mine. I asked why? He said because there was nobody really bidding against him, dings in the body, and the suspension. Fair enough. Not sure about the suspension comment. Maybe the lack of cleanliness of the struts and control arms? But seriously? A $30K difference? Something is fishy over at BAT. $36k 280z had a radio delete plate, 20k more miles and the night picture of it in the parking lot looks like a $12k condition car. It was a very nice Z but the differences in pricing I see on BAT just don’t make sense.